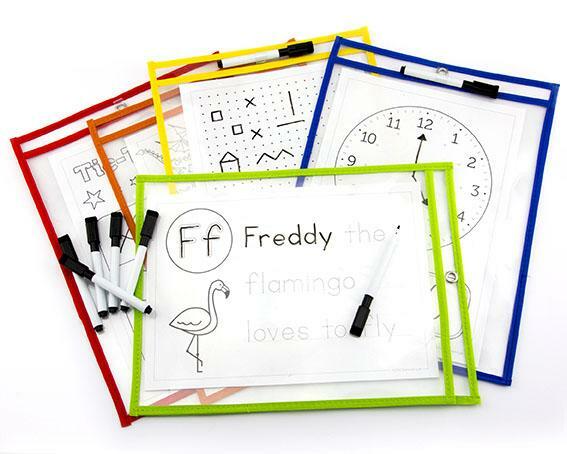 Includes 10 x Pupil Pockets & 10 x Whiteboard Markers. 5 colours: red, orange, yellow, blue & green. To suit A4 worksheets. Includes handy marker holder and eyelet for hanging. Measures 26 x 34.5cm. 50+ FREE blackline masters available online.